Fiat Chrysler is recalling more than 1.7 million trucks for steering wheel and airbag issues, the company said Thursday. The recall includes 1.3 million Ram trucks that may have faulty steering wheel wiring, which could cause the driver-side airbag to deploy. It involves Ram models 1500, 2500, 3500 from 2012 to 2014. Fiat Chrysler (FCAM) said in a statement that there have been two injuries connected to that issue. 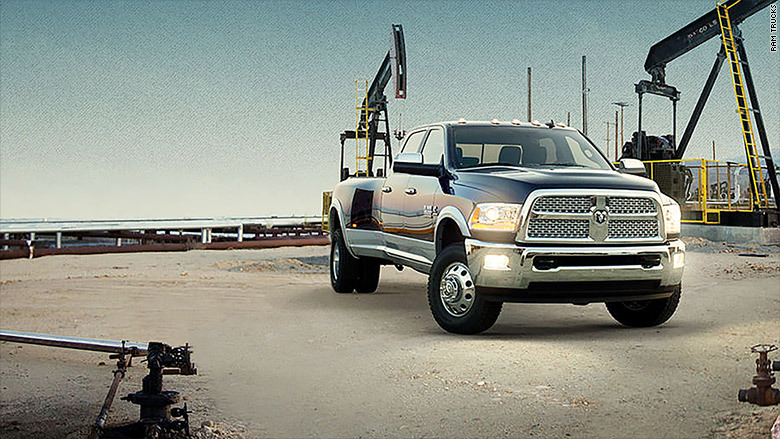 Nearly 200,000 other Ram trucks, including 2013-2015 Ram 3500's and 2014 Ram 2500's, need a part replaced that could "lead to diminished steering response." The car maker said it knows of one "minor accident" stemming from the problem. Another 188,000 Ram 1500 Quad Cab pickups from model years 2014 and 2015 are recalled for a side airbag adjustment. The company said those trucks are not in compliance with federal regulations meant to "reduce the risk of rear occupant ejection during a rollover." Fiat Chrysler said no injuries or accidents have been linked to the issue. The company -- which also owns brands including Jeep and Dodge -- is under intense scrutiny from federal regulators over how it handles recalls. In July, the company was hit with a record $105 million consent order after an investigation found Fiat Chrysler mishandled more than 20 recalls over the course of several years. Its recalls will be under "rigorous federal oversight" for the next three years.